Aerosmith is bringing its Deuces Are Wild Las Vegas residency to the East Coast this August. The nine shows will be held at MGM National Harbor, Borgata Hotel Casino & Spa and MGM Springfield August 8th-29th. Aero Force One Fan Club pre-sales are underway with Citi Private Pass pre-sale beginning Wednesday, February 27th at 10 am ET. Mlife, Live Nation, Ticketmaster/Paciolan, SiriusXM pre-sales begin Thursday, February 28th at 10 am ET. Public on sale begins Friday, March 1st at 10 am ET. Promoted by Live Nation and MGM Resorts International, Aerosmith: Deuces Are Wild brings fans face to face with America’s Greatest Rock ‘N’ Roll band in one of the most immersive, state-of-the art audio and video technology experiences. The show features never-seen-before visuals and audio from Aerosmith recording sessions including a partnership with THX and L-Acoustics to deliver the world’s first THX Certified live performance presented in L-ISA Immersive Hyperreal Sound. News of the East Coast run comes following 17 additional dates for their Las Vegas residency at Park Theater at the new Park MGM resort. 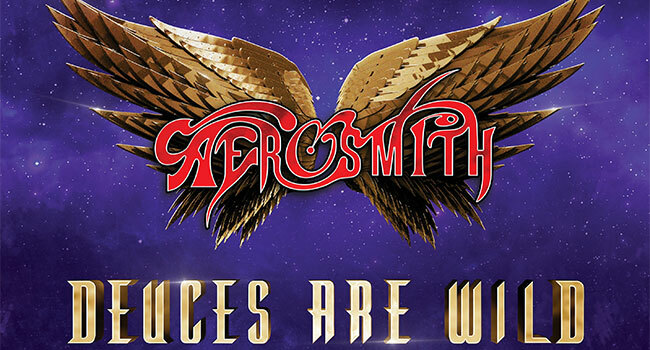 America’s all-time top-selling rock ‘n’ roll band will launch Aerosmith: Deuces Are Wild Saturday, April 6th, with several of their 18 previously announced shows already sold out.